→The Ultimate Instant Cash Arsenal Review: A Bad Buy! The Ultimate Instant Cash Arsenal Review: A Bad Buy! What is The Ultimate Instant Cash Arsenal about? Is The Ultimate Instant Cash Arsenal really a Scam? We will find out in this article. Let’s get started. People like the promise of easy money. This is why it is easy to see why a lot of people bought The Ultimate Instant Cash Arsenal. The name alone has you thinking you’ll be rolling around on piles of money in not time. However, as any savvy Internet marketer knows, if it sounds too good to be true, it probably is. The name should be a warning enough. Having “ultimate” and “instant cash” are not exactly good signs. And after taking a look at what it has to offer, I can honestly say that you should spend your money elsewhere. What Is The Ultimate Instant Cash Arsenal? What is The Ultimate Instant Cash Arsenal and how does it work? The Ultimate Instant Cash Arsenal promises you the chance to have access to Internet marketing “secrets” for only $37. With the lessons you learn from it, the program claims that you can be earning money hand over fist in just a short time. When you buy it, you are also given the chance to gain access to other marketing courses, one of which has a $96 price tag. The main part of the product itself consists of two parts. There is the PDF that you can download with a couple of bonuses. There is also the video series that will give you further instruction on the art of Internet marketing. After learning all you can from these training materials, you are to go out and start earning five figures a month. The image is alluring, but with what you get for $37, it is obviously not enough. You will end up buying one of the expensive upsells and hoping that the investment is worth it – which is totally not. Who is The Ultimate Instant Cash Arsenal For? One of the problems with all of these Internet marketing products is that their target audience is mostly newbies. Newcomers to the Internet marketing business go into it thinking that it will be a way to easy money. This is mostly thanks to advertising from products like The Ultimate Instant Cash Arsenal. Getting rich from passive income is possible, but not at the rate that the advertisements promise. Plus, with the “training” that this product provides, newcomers end up caught in a sales funnel has them thinking that they need to buy more and more “products” to get a chance at success. In the end, I would not recommend The Ultimate Cash Arsenal to anyone, even at its most basic of $37. There are two components to The Ultimate Instant Cash Arsenal. The first part is the PDF training guides. You get this from the initial purchase along with a couple of bonuses. The PDF training booklets are reasonably good. At least, it is not total crap. However, it is definitely not worth the $37 that you paid for it. This is mostly because a lot of this information you can get from other sources at a much more reasonable price point. You can actually get it for free if you dedicate yourself to some research. There are a few highlights though. The product does manage to get at the heart of some important Internet marketing concepts. The best Internet marketers will always harp on about the following so you’ll end up learning about them anyway. First, you need to provide value to your market. This can come in the form of content like articles or videos. Second, you’ll need to develop a connection with your customers/clients. This is important in creating repeat clients. Third, there is the need to create a profitable sales funnel to ensure that you manage to get money out of your efforts. Besides these basics, the training does also offer some specific guides on to generate leads and traffic. Furthermore, there’s some specific info on how to better get the results that you want. However, all this good content does not justify the high price tag. You would be hoping that the video series is going to make up for it. Unfortunately, this part of the program is a complete mess. A lot of the video content is on the basic concepts introduced in the early training guides. This includes how to create a sales funnel and more. All of these videos are on Vimeo and have password protection. However, the three short videos are totally worth the time and hassle trying to get them to work. You will not be earning the money they promise you if you watch all the videos and read the training guides faithfully. Finally, the bonuses that come with the training booklet? Both sales funnels that will drag you deeper into investing into Internet marketing. They will encourage you to invest more in hopes of striking it rich, but don’t do so if you value your money. (+) A Few Nuggets. Though it is tempting to write off everything that The Ultimate Instant Cash Arsenal offers it does offer some good bits of Internet marketing knowledge. The problem is that all of this information is available elsewhere. You can even get all of it for free if you are diligent enough in your research. (-) Value. You are seriously not getting your money’s worth with this product. For one, your initial purchase price is $37. For that amount, you get a few training guides and access to three videos. Other products would give you more than that for the same amount. The information from the training guides is available freely on the Internet, while the videos do not have the quality that you should expect. (-) Sales Funnel. The entire product is a way for the sellers of The Ultimate Instant Cash Arsenal to sell more products. This is obvious from the expensive upsells and the “bonuses”. If you get snagged into it, you may end up spending hundreds of dollars with nothing to show for it at the end. I personally will not recommend The Ultimate Instant Cash Arsenal to you due to the reason mentioned above. The overpromising and exaggerated claims just scared me off upon watching their first sales page in video format. I have spent some time in accessing their training in video format but I waited for the video more than15 minutes, ended up wasted my precious time. The training is just extremely hard to watch and not user-friendly. Which means the money you pay for them is definitely not worth. Your money and time better invested elsewhere. Let me know if you have any question and thought on The Ultimate Instant Cash Arsenal. Of course, if you need further help in your online business feel free to reach out to me. I am more than willing to help you out in your success journe. In your final conclusion, that sounds fine, but why would it take 15 minutes to get to the videos? Load time or something? The easy money crackpots now have something else they can move onto. I have known a few people who have taken advantage of systems like this and will have to admit even myself sucked others in, of my friends, or used to be, and I will never do that again. Hi Andrew, I have no idea why the video takes so long to load but just my experience during my discovery. I usually will step back if sounds too good to be true. There are tons of scams like this out there so be careful. Do more homework before joining. Let me know if you need a hand from me and all the best. There is just no limit to the amount of over promising “make money products” out there. The fact is that soo many people are dreaming about the easy life and what they could do if they had more money and did not have to work for it so a great deal of people fall into the trap. They are dreamers, hoping to finally “make it” but the big majority of them gets dissapointed when the product does not offer the promised result. The upsells is also a sign of a scam. Lots of products are using upsells to increase their earnings. It is a well used strategy to offer upsells once a client has paid the initial fee it is easy to sell them something else. Hi Jojo, Thank you for leaving the comment here and fully agree with what you mentioned here. Most of the time this type of program will deliver overpromised claims on their sales page. I have seen many and once you have proceeded to the payment, you will see more upsells coming. So I would advise people do more research before giving their hard earned money. You did such a great job on this page that I found myself going through your entire site before I came back to write this. Your insight was very believable because you did not just indicate it was a scam and instead you went into great depth to show how and why. The one odd thing that i noticed is that as I scrolled down your site the pages would shake. I’m not sure what causes that. Just a minor annoyance as as I was reading down the info you provided. The content was great. Thanks Bru, for pointing out here about the annoyance. I did some adjustment and now get fixed. I’ve lately been looking into this program and was astonished as to what this review had to offer. You really let out some of the secrets they kept hiding. 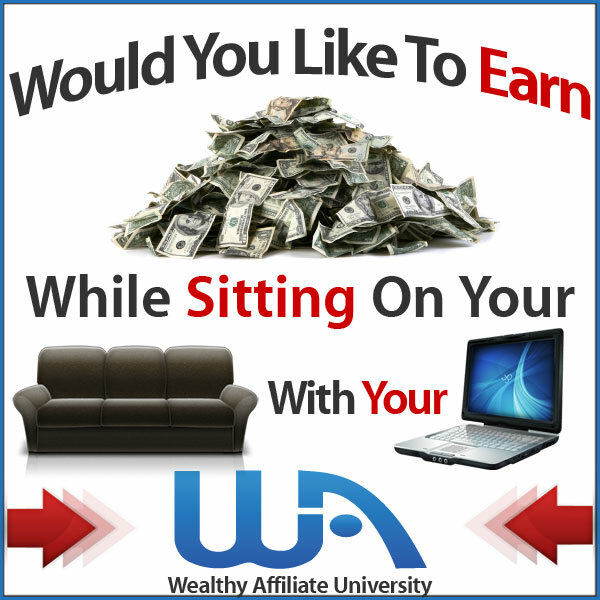 Wealthy Affiliate seems like the better overall deal, I mean you can try it for free! Now that’s something I will definitely sign up for. Is Wealthy Affiliate very active in live chat? I usually tend to struggle so I just want to know that I have some good reassurance. Hi Emiliano, rest assure what I mentioned here is 100% honest and genuine for my readers. Yes, Wealthy affiliate offered the best customer support and community such as live chat and personal support from owner itself. If you join WA I can assured that your are one step behind of building your online business. Hope this answer your doubt and let me know if there is more doubt from your end. I am glad than help you out. It awesome to see that you have a bad review and not a good one. Everyone always does reviews talking about how great things are but we do also need to see what doesn’t work. This is a really detailed and organized review and I really appreciate that. When comparing Ultimate Cash Arsenal to Wealthy Affiliate, I would also have comparisons for other Affiliate programs. Also, I would tell the viewer how much success you have had personally with a product. These are just recommendations though. This is a really solid website, and I hope to see more great content from it. Hey David, There are tons of bad programs out there and it will took me some times to review all of them. Hence, Stay tuned on my website and I wish you could share this to your closed one also for guiding them to the right program that lead to success.